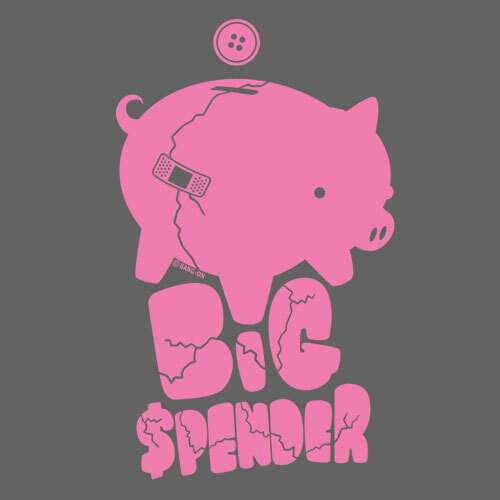 1) Budget. I don't have a hard set budget. One of my favorite bloggers, Kimmie of Blue Paper Lanterns has a hard budget of $600 a year. While my husband would love that, I honestly don't think I could stick to that. What I do have is a hard limit for the money in my "fun" account. I am definitely a spender and you would be amazed (or not) at the justifications that I can come up with when I want to buy something. I would be mortified, not to mention devastated, if my spending affected our home lives in a way that was detrimental to our ultimate goals of financial security. So, I have a "fun" account that is separate from our house accounts (where we pay the mortgage, insurance, bills, etc. from) and our savings accounts. If there is no money in this account, I can't shop. If there is money in this account, I can spend it how I want without having a fight about how much my shoes or that new handbag cost. 2) Have a Plan. I try to never be in a position where I have to shop for specific outings on short notice (interviews, dates, balls, etc.) for two reasons: a) cost and b) individuality. I try to keep our events (including lunches, vacations, birthdays, etc.) on a calendar so that I know when something is coming up and try to plan for it as much as I can. The best example of this is our annual charity ball. This year marked the 10th year that I've been attending the event. I already know that we will be attending every year so I keep an eye out for ball gowns year round. I've found gowns on clearance for $50, $35, and earlier this year a whopping $18! If they fit me and I like the gown and the price, I buy it. I already had a gown for this year, but I bought an Adrianna Papell gown for $18 anyhow because we will have other formal events, I can use it as a back up in case of broken zippers or spilled food and drinks (all of which have happened before!) or wear it next year. The main reason that I didn't wear it this year is because the odds were very high that someone else would wear it due to it being this year's gown. Most women go out and buy their gowns within the month before the ball. Each year, there are five or more women wearing the same gown. It is true that no one will remember the details of what you wear, but everyone remembers when multiple women are all wearing the same dress. For interview and work clothes, most tend to be classic pieces - a sheath dress, suit, slacks, button down shirts. You can buy them on sale at the end of the season and no one will know that suit is from the 2008 JCrew collection, you know? 3) Keep a List. Most of us shop for groceries from a list to avoid impulse shopping for chocolate and wine. Take the same premise for your closet. 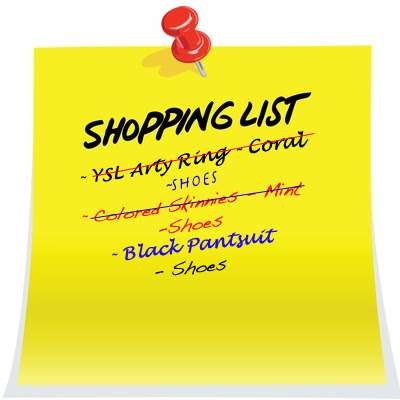 I keep a list of items that I think I need or want to buy to fill "gaps" in my closet. I even add the "must-have" item of the season that all the other bloggers bought in case I come across something I can't turn down. It has really helped me to not only fill real voids in my wardrobe, but it has also helped me to see when I don't really need something, but I want it because everyone else has it. The YSL arty ring? I wanted it. When I finally bought it, I realized that it is better suited for women with long and slender fingers. It made my short and stubby fingers look even squattier than I want to admit. I passed it on and marked it off my list. A striped casual dress? I didn't even realize how much I would want to wear it everywhere I go. I bought it during the October Wednesday sales at Banana Republic at a 40% discount. 4) Try to Never Pay Retail. The bulk of my closet comes from the sales racks at Nordstrom Rack, Marshall's, TJ Maxx and Neiman Marcus Last Call. 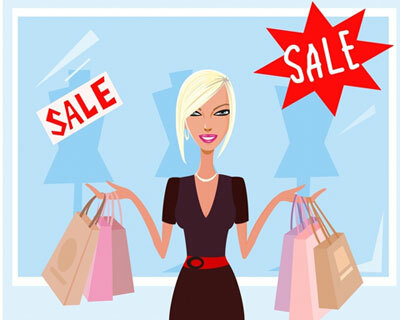 I love designer items and I love well-fitting clothes, but I hate to pay retail. Some women have no problem spending money as long as they don't have to hunt down items. Not me, I don't mind hunting down items as long as I don't have to spend more than is necessary. I love going to estate sales and eBay for vintage jewelry and pre-owned designer handbags and shoes. There's a slew of consignment shops that I visit on a regular basis to see what gorgeous items are ready for me to take home. I've bought J Brand and Paige Premium jeans at Nordstrom Rack for under $40 and I've bid on and won brand new Christian Louboutins (including receipt) for under $200! One year for Christmas, Mr. Fantastic bought me a gorgeous pair of gold Jimmy Choo heels and fortunately for me, they were a size too big. I immediately returned them and bought the right size that was now almost 50% off as well as a Tory Burch bag for the same amount of money. These strategies won't work for everyone. Some people might not even like them, but they work for me and my home. I am able to shop and buy things that I love and want to keep for years to come without negatively affecting our home finances. What are your strategies? I'd love to hear them now that the holidays are coming up. 1. Never shop in a store without a coupon. And believe me, there is a coupon out there somewhere, at some point, for every store under the sun. 2. Shop at resale and thrift stores. This is where you find the designer stuff at garage sale prices. I have a weakness for Nanette Lepore and Betsey Johnson, and this is how I satisfy it. 3. 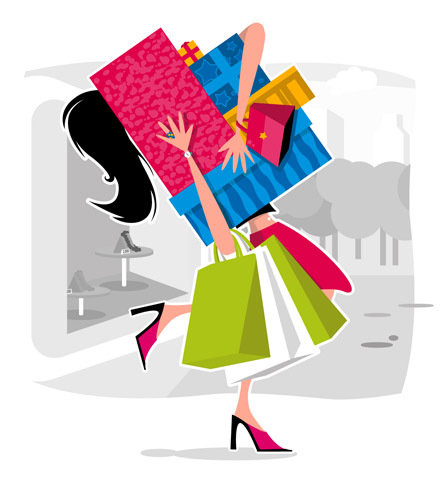 When shopping on-line, wait for the free shipping days to make a purchase at your favorite stores. Then, only shop from the clearance section. Then, find a coupon code to use at check-out to take your total down even further. Now you're getting a triple dip of savings. 4. Have one of everything in black. Pants, capris, t-shirt, sweater, boots, leggings, scarf, etc. These black items you can get anywhere for rock bottom prices and replace as they wear out. The black items will match anything else you put with them, and you can easily build a broad wardrobe from just a few extra unique pieces. 5. Get shoes at 6pm. Deep clearance discounts on designer shoes and always free shipping. There is no substitute. Oh! Coupons! I try to always have one because you are right, almost EVERY store has one. I never shop at Banana Republic except every other day when I get a 40% off coupon in my email. I also LOVE 6pm! I've sent so many happy shoppers there! My sister should buy stock at that store. Great, GREAT suggestions! Thanks for stopping by! i'm loving the secrets Lea Ann shared! i wrote a post about my shopping strategies when i first launched my blog in May. it's still a very popular post. like you, i avoid shopping for specific occasion outfits. this can be a big overspending trap since you're likely to buy out of impulse and desperation.